Last summer I reviewed the first two books in a new series by a longtime favorite of mine, Ellen Potter. 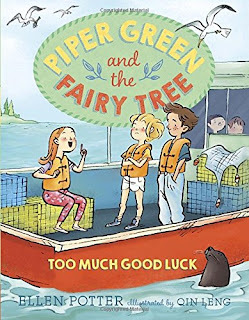 Piper Green and the Fairy Tree is a superb bridge chapter book series, ideal for readers ready to move up from leveled readers but not quite ready for something like The Magic Tree House or Junie B. Jones. 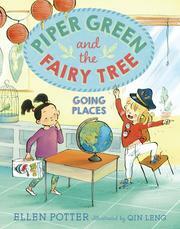 Speaking of Junie B., Piper Green is the perfect choice for parents, educators and librarians looking for a winning, quirky, articulate girl character who is not sassy and uses words correctly. 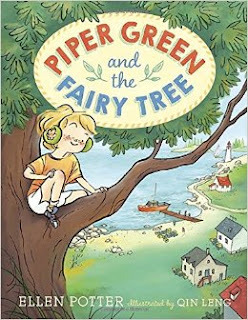 You can read my review of the first two books in the Piper Green series, which includes a list of Ellen's other books and links to my reviews of them, here. 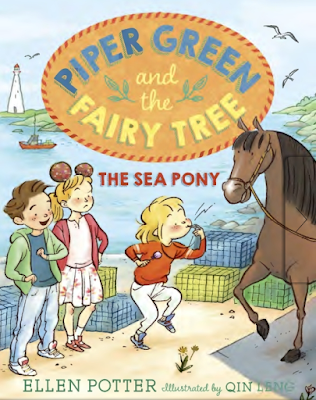 In Piper Green and the Fairy Tree: The Sea Pony, Piper's Saturday is filled with twists and turns, ups and downs. But that is life on Peek-a-Boo Island off the coast of Maine where the Greens live. Piper and the other islanders ride a lobster boat to school on the nearby Mink Island. But, bigger kids have to go to school - and live, during the week anyway - on the mainland, and that is what Piper's beloved big brother, Erik does. Home for the weekend, Piper is looking forward to time with Erik. But Erik is not feeling well and can't get out of bed. Piper decides to make him Cinnamon Snakes (cinnamon toast cut in squiggles) because that's what her mom always does when anyone is feeling under the weather. But, the Greens are all out of cinnamon. 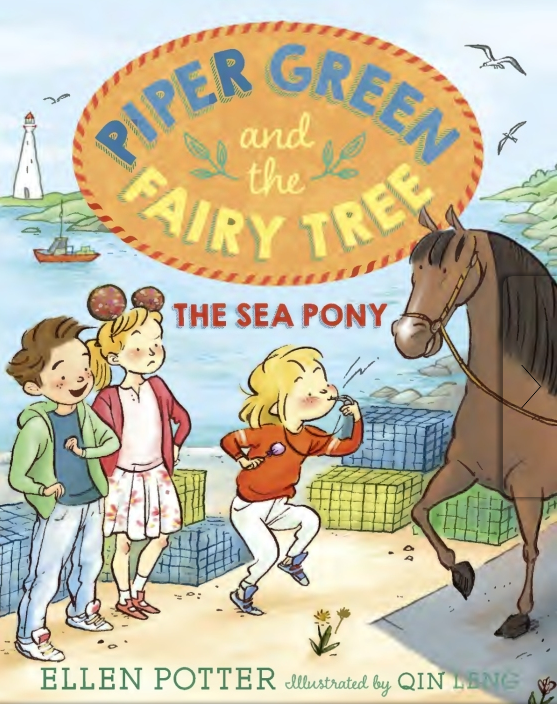 In an organic but completely unpredicatble chain of events that perfectly characterizes the unique perspective of Piper herself, a trip to the store to buy cinnamon leads to a bosun's whistle (a gift from the fairies found in the Fairy Tree) then to a glimpse of a beautiful new horse then to a job as sternman (the "guy who stuffs dead fish into little net bags for lobster bait") then to befriending a sea pony (a harbor seal) then to finding a skiff lost in a storm to . . . riding atop that beautiful new horse! Potter fills this series with little details about island life that, along with the maps in the front of the book, help landlocked readers get a real feel for this way of life. But, the real treat is getting to peek into Piper's world, her thought process and how she handles disappointments, new experiences and best of all, how she problem solves. While working as sternman on her father's lobster boat, Piper feeds half of the day's bait to a playful seal responding to her bosun's whistle. Piper begins to think that maybe she can ride this seal (instead of a horse) since she learned just how much a horse costs. Piper eventually realizes the impossibility of this plan, but it doesn't get her down, or stop her planning and that is why she is a winning character and wonderful role model.